A couple of years ago, singer/songwriter Neil Nathan blessed us with a beautiful album of melodies and well-timed progression changes that was easily became of the finest albums I heard back then, and still continues to find its regular rotation in my iTunes library. And now, Neil is back. But the man who once made “Do Ya”, a track that should be a staple at every wedding across the planet, has a new sort of progression. Yes, this light-hearted strum master is back, but with a vengeance. 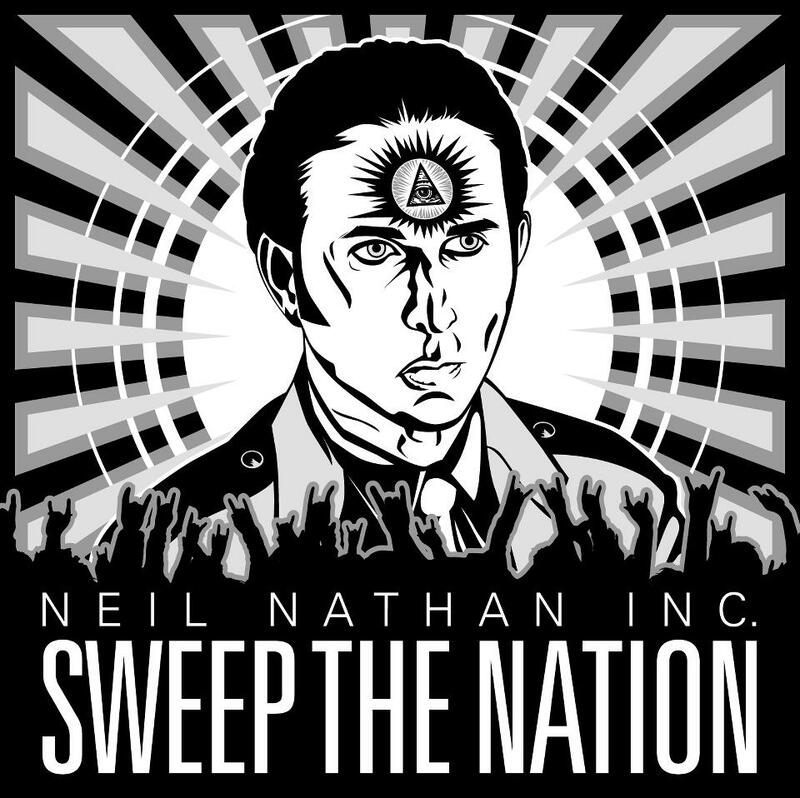 Neil Nathan’s new album Sweep The Nation is an all out, tooth to the curb attack and acknowledgement of the corruption and greed that emulates the modern society that has been slowly but surely destroying our way of life. Sweep The Nation is definitely a beautiful call to arms for the common man, and begging them to stand for themselves against the tyranny that surrounds us. And dammit does it sound great. Neil’s voice is just as majestic when he is angry as it is when he is in love. And although Nathan’s regular fan base my not be used to the intensity factor he spews out on a track like his cover of Lou Reed’s “There Is No Time”, everyone is going to dig it regardless of what they are used to. If there is one thing that can be continually affirmed about Neil Nathan, it is that he is a very passionate man. Whether he is confessing is love for a devoted woman, or expressing his contempt for a torn apart nation, Neil is a strong-willed and amazing talent that we are fortunate enough to have around these days. And whether or not you like him better at his quieter times, or in all out attack mode, this cat is going to entertain you, make you think, and divulge the truest of human emotions one could ever have. Guaranteed.